Need a faster, easier way to install electric radiant floor heating? When minutes count, don’t tangle with loose cable, try our easy-to-install floor heating mats instead. We stock a wide range of high-quality mats from Nuheat and SunTouch that are sure to fit almost any project. Or try a TapeMat Kit that includes a thermostat and everything you need to install, in one box.Tricky layout? Get around kitchen islands and shower stalls with ease when you order a custom mat for an exact fit. Add warmth to existing floors when you retrofit with SunTouch UnderFloor mats. No matter what you choose, all our mats have built-in optimal spacing to save you valuable planning and installation time, so you can finish your floor project faster. 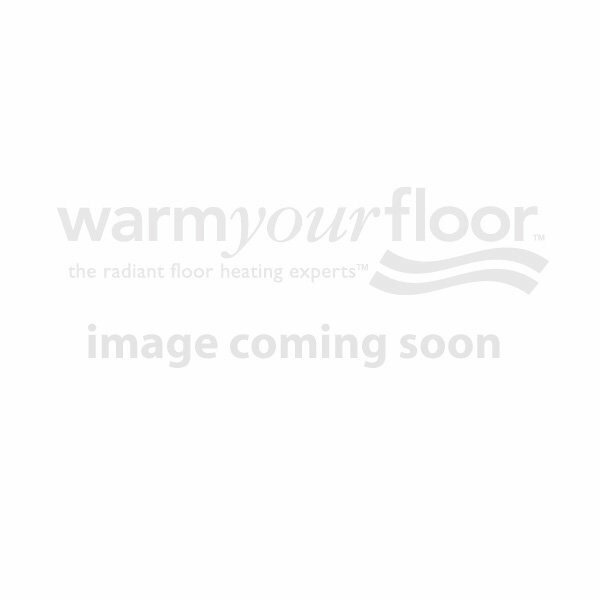 Floor heating mats are an excellent option for heating your tile floor. They really shine in bathrooms, which tend to have simpler layouts and (especially in older bathrooms) poor heating or none at all. Not only will your radiant heating mats keep cold tile from ruining your morning, but they'll make the entire room much cozier. Electric floor heating offers some of the most energy efficient heating when it comes to dollars per square foot, so you can get the rooms you care about most heated without cranking your furnace up across the entire house. Energy efficiency, easy installation, zero maintence. What more could you ask for? Don't live in regret by skipping this affordable option to deliver luxurious comfort. Install floor heating mats with your remodel or home build.